The 2018 Toyota Highlander is a vehicle that is packed full of great features and technologies, allowing you to take your family outing to the next level and get the most out of every adventure! 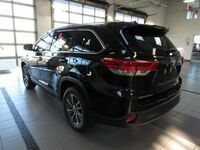 The new Toyota Highlander has a strong engine, great safety, and an available hybrid model that is guaranteed to please any driver! However, this vehicle is not without its competition! The 2018 Honda Pilot, though not in the same class, has a ton of great features, and comparing the two can be common! Comparing these two vehicles can be difficult, especially for those that aren’t vehicle experts! Thankfully, we at Le Mieux & Son Toyota are vehicle experts, and we know a thing or two about comparing two great models. We know how important it is to get the best deal possible when it comes to getting a new vehicle. That said, we’ve compared these two vehicles and their features, to find you the best deal! Look at the chart below to see how they compare! As you can see from the chart, the 2018 Toyota Highlander and the 2018 Honda Pilot both have a ton to offer any buyer in terms of horsepower and fuel economy. However, the 2018 Toyota Highlander does pull ahead in several of the categories that we’ve compared them in. 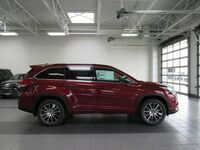 The new 2018 Toyota Highlander has a higher horsepower, though only by 15, and it has a better overall city fuel economy. The new Toyota Highlander also has an available hybrid model, which the new 2018 Honda Pilot does not. The only feature that these two vehicles are evenly matched in is their engines, both of which have a 3.5-liter V6 engine. However, between these two vehicles, the 2018 Toyota Highlander is the clear winner in terms of features and power! 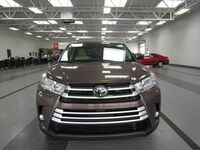 So, if you’re looking for a vehicle that has a ton to offer you in terms of horsepower and fuel economy, look no further than the 2018 Toyota Highlander! 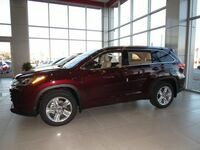 This vehicle is guaranteed to make your drive a memorable one! Contact us at Le Mieux & Son Toyota today to learn more!